Through his decade’s worth of comprehensive research in the field of orthopedic medicine, Dr. Payam Moazzaz at New Era Spine has come to specialize in the diagnosis and treatment of complex spine disorders. Through his skilled and comprehensive regimen of therapies, preventative measures, minimally invasive procedures and surgical options, patients achieve the ultimate pain relief–along with the enhanced mobility that allows them to resume their full and highly productive lives. The good news about spinal cord tumors is that they are rare, affecting approximately 1 per 1 million people annually, and that most SCTs are benign or slow-growing in nature. According to the Spinal Cord Tumor Association, less than 10 percent of these tumors are malignant. The association also reports that “The long term outcome is good to excellent” for most SCT patients (http://www.spinalcordtumor.org/library/frequently-asked-questions/). Spinal cord tumors can develop in the cord itself or in a region around the spinal cord where the tumor applies pressure against the spinal cord. When such tumors originate in the spinal cord, they are called primary spinal tumors. The majority of spinal cord tumors are secondary tumors, meaning they started elsewhere and spread to the spinal cord. The majority of primary spinal cord tumors are benign, while secondary spinal cord tumors are more likely to be cancerous. It is vital that spinal cord tumors be detected and resolved as quickly as possible, before the tumor presses upon the spinal cord and interferes with neurological function, causing spinal cord trauma. How do i know if i have a spinal cord tumor? If you experience any of these symptoms, please contact Dr. Payam Moazzaz at New Era Spine for an immediate consultation. Dr. Moazzaz will put his vast knowledge of orthopedic medicine to work for you. Loss of sensation in the legs and lower anatomical region. Patients with these symptoms are encouraged to call Dr. Payam Moazzaz at New Era Spine, who will perform an imaging test like an MRI or CT scan to determine the presence of a spinal cord tumor. Using the tumor’s size and location as a guideline, he then will devise a treatment plan to eliminate the tumor. In remedying spinal cord tumors, his main objective is the prevention of spinal cord damage, along with the total elimination of the tumor. What are the treatment options for a spinal cord tumor? The majority of spinal cord tumors can be removed via surgery. Spinal cord tumors can be taken out partially or fully, thus alleviating pressure on the spinal cord. The Spinal Cord Tumor Association recommends a surgical procedure known as a laminectomy (the removal of the bone) and an attempt for a total resection; and that an MRI should be conducted at 3 months, 6 months, and then annually for several years. Spinal cord tumors may be remedied with steroid injections to ease inflammation and symptoms prior to aggressive treatments. If the spinal cord tumor is cancerous, procedures such as radiation and chemotherapy may be employed to reduce the size of the tumor. Radiation often is used in conjunction with surgery, while Chemotherapy is a far rarer treatment option. Physical therapy might be advised in cases where muscle function and motor skills have been hindered. Ultimate recovery depends on the type of tumor detected, and how soon it is diagnosed and treated. Dr. Payam Moazzaz at New Era Spine will work with the spinal tumor patient to conduct a thorough but sensitive consultation and examination. He is committed to delivering the finest, most professional, and most personal orthopedic care in the California region. Vertebral osteomyelitis, which is an infection of the vertebral bone that affects 26, 170 to 65,400 people annually. This is the most common type of spinal infection, resulting from bacterial infections in nearby locations or as a result of surgery on the spine. Discitis, which is infection of the vertebral discs that strikes 1 in every 100,000 Americans. Epidural abscesses strike 18 percent of those suffering from Discitis and Vertebral osteomyelitis, and are collections of pus between the spinal cord and the surrounding vertebrae and nerve roots. Older patients and intravenous drug users also are prone to contract spinal infections. 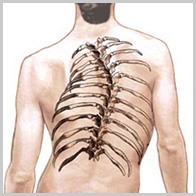 And since a spinal infection can be elicited by a prior surgery, other risk factors include the duration of the surgery, the operating instrumentation used, and the number of operations performed. Urologic procedures also provoke a number of spinal infections due to the proximity between pelvic veins and the lumbar spine. Dr. Payam Moazzaz conducts procedures such as blood tests, blood cultures and biopsies to determine the variety of bacteria that accompanies the infection. MRIs and CT scans may be used to pinpoint the site of a lesion as a result of an infection. In treating spinal infection, Dr. Payam Moazzaz at New Era Spine initially investigates the least invasive treatment options available; saving surgery as a last resort. Initial nonsurgical treatment options for spinal infection include antibiotics or anti-fungal medication to combat the infection. Yet if the antibiotics fail and the physician must cleanse the infection site and remove infected tissues, or if the infection progresses to affect bone or neurological tissue and functional impairment results, then surgery may be needed. At times infection, fractures, and tumors, illnesses or trauma, can result in spinal damage; along with neurological symptoms elicited by pressure against the spinal cord or nerve roots in and around the spine. Spinal fusion can stabilize two or more vertebrae, thus eliminating the movement and slippage that can lead to nerve pressure and back pain. Minimally invasive surgical methods can reduce tissue damage and hasten recovery. Spinal instability can result from a variety of causes, including infection, fractures, tumors and other diseases or trauma. The resulting damage to the spine can lead to neurological symptoms created by pressure on the spinal cord or nerve roots in and around the spine. In cases of spinal instability, spinal fusion can be used to stabilize two or more vertebrae, preventing movement and slippage that can contribute to nerve pressure and back pain. Minimally invasive surgical methods can sometimes be used, which decreases tissue damage and speeds recovery. Spinal deformities like excessive scoliosis (the lateral curvature of the spine) and kyphosis (a forward curvature of the back) are difficult to operate on, as both involve flexible and rigid vertebrae. Spinal deformities also result from abnormal spine conditions, which apply pressure onto other vertebrae. These conditions include spinal stenosis and degenerative disc disease. Flatback syndrome is actually caused by back surgery; created by older methods of scoliosis surgery in the 70s and 80s, this is a spinal deformity in which the natural curvature of the back has been flattened by the pressure of surgical rods used to straighten the lateral curves of scoliosis. This surgery-induced problem can be corrected via today’s surgical methods. At New Era Spine, Dr. Payam Moazzaz’ expertise in the field of orthopedic medicine enables him to perform those advanced procedures needed to cure and remedy spinal deformities. His extensive knowledge of debilitating spinal conditions and spinal deformities can be applied to the successful treatment of virtually any spinal condition. To learn more, please call our office today.